Laserlyte has been busy – very busy lately. Recently we posted about the Laserlyte for the Kel-Tec P3AT and the Ruger LCP. We liked the laser when we tested it at the range. We just received press releases that Laserlyte has a new rear sight laser for GLOCKS and a side mount laser for a Smith & Wesson J-frame revolver. We believe in iron sights. As you know though, I do feel there are reasons for lasers especially in self-defense situations when it may not be possible to get a proper sight picture. Here’s the latest news from Laserlyte. Once we field test these items, you will get a full review. Until then…. LaserLyte® has never believed that laser technology needs to be complicated or expensive. 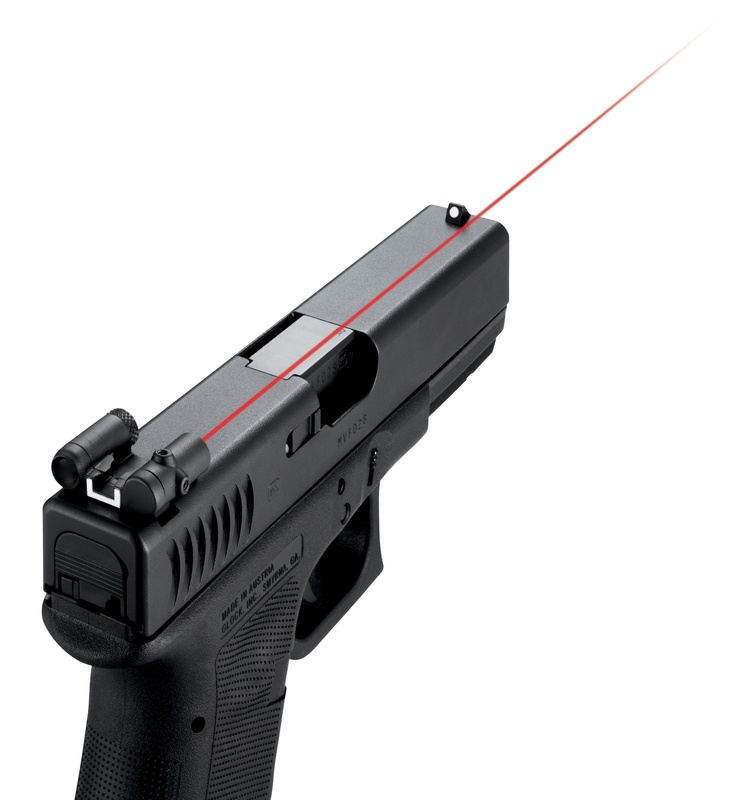 LaserLyte® returns to basics with the patented RTB-GL rear sight laser that fits all GLOCK®firearms. The high performance laser built into a rear sight specifically designed for all GLOCK pistols features a simple, ambidextrous “press and go” activation. The laser is easily programmable to either constant on or pulse mode. Another great feature is the “auto-off” feature that displays a unique flash after 5-minutes of operation and automatically turns the unit off after 6-minutes. For more information, visit www.laserlyte.com and check us out on Facebook. *Normal usage is defined as one minute on and one minute off. This test mimics actual usage where the unit is turned on and off and the battery is given time to automatically regenerate. Leave it to LaserLyte® , the leader in laser technology for the shooting sports market for 25 years, to bring the best of two popular lasers into one single, simple and affordable laser; the LaserLyte® CK-SWAT. The side mounted laser fits on all of the Smith & Wesson J-frame revolvers ever made and all Taurus revolvers. And now, the Taurus Judges including the Public Defender finally has a laser system to call its own with the CK-SWAT laser. The new LaserLyte® CK-SWAT laser mounts easily underneath the grip and is the only laser system available that allows the customer to retain the factory grip and comfortably and easily holster the firearm. The CK-SWAT is also compatible with many aftermarket grips including Hogue® and Pachmayr®. To install the LaserLyte® CK-SWAT, simply choose one of the four included base plates that fit the revolver, remove the grip and screw the unit into place. Replace the grip and sight in the firearm with common X and Y adjustments. When ready to activate, simply press the button located at the back of the laser as you draw the firearm from the holster. The laser is easily programmable to either constant on or pulse mode. Another great feature is the “auto-off” feature that displays a unique flash after 5-minutes of operation and automatically turns the unit off after 6-minutes. This feature can be reset at anytime to prevent accidental activation and battery depletion. The LaserLyte® CK-SWAT unit can also be easily removed and placed on any other compatible firearms. 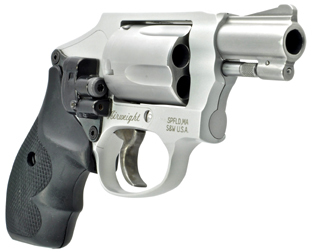 Compatible Firearms: Fits all Smith & Wesson J-frame revolvers and all Taurus revolvers, including the Judge. This entry was posted in Concealed Carry, Press Releases, Product Reviews and tagged concealed carry, glock, laserlyte, pocket pistol laser, rear sight laser, smith and wesson, smith and wesson j frame revolver, smith and wesson revolver, taurus, taurus revolver, the judge. Bookmark the permalink.